DevOps for the Database with VSTS and Azure | Free eBooks Download - EBOOKEE! Posted on 2018-10-06, by everest555. Databases are critical to most line-of-business applications; they need to be tightly managed to perform well in a DevOps environment. 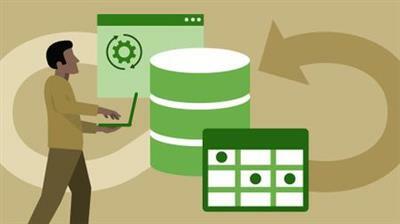 This course targets developers and database admins who write code and work with SQL Server databases. Instructor Brian Randall shows how to put a database under version control and move through an automated release pipeline using Visual Studio Team Services (VSTS) and Azure. Learn how to build a SQL database using a continuous integration workflow, release the database via continuous deployment, and bake in quality from the beginning, by testing the database with a number of different tools. Plus, learn how to troubleshoot over a dozen real-world issues that admins encounter with SQL databases, from database drift to multi-environment deploys. No comments for "DevOps for the Database with VSTS and Azure".